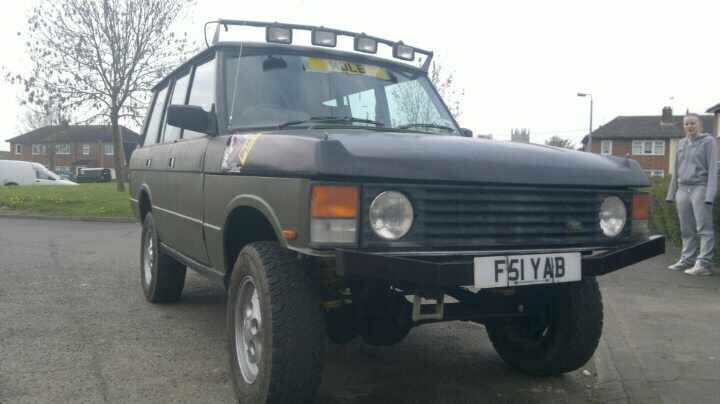 Hi all unsure what to do with my range rover vogue se yet? So just thought i would put her on here and see what interest i get. At the moment its costing me £2700! To insure a year as i am only 21. 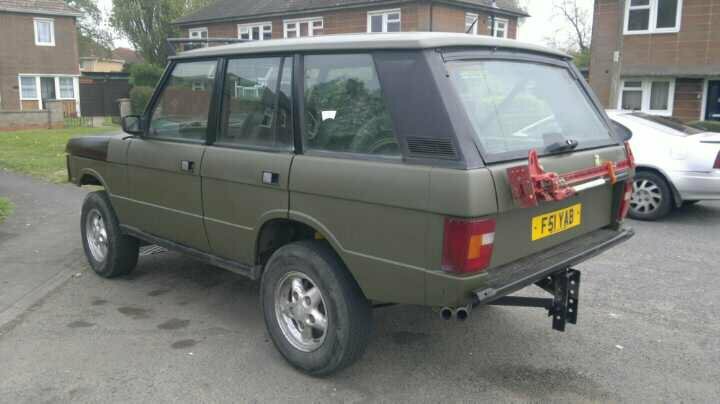 It is a 1989 range rover vogue se. On a non changeable private plate. It has a 3.5 v8 efi that runs sweet with 104k on the clock and just been serviced. It is a auto gearbox thats just had replacement transfer box fitted. Brand spanking new 2inch lif kit. Had the middle box cut out of the exhaust and is just running back box and sounds awsome! Had new engine mounts, new front wheel bearings. Full leather interior. Electric everything. New steering box drop arm and ball joint. Fully polybushed. Roof bar with working spot lights. High lift jack mounted on the back tail gate with a new mounting kit. Top tail gate is rot free. All welding on this truck has been done. Chassis, inner and outter sills have had no welding and very clean and painted! A very solid truck for its age. M.o.t until december 2011, tax until august 2011. Been painted nato green with roller by the looks of it? But aint a bad job that been done, few scrtches. Needs a replacement speedo cable as speedo doesnt work and drivers door lock wont lock with the key for some reason? These are the only things wrong with this as far as i can see? It has a set of 235 70 16 collway all terrains on 5 spoke alloys. £1600ono please feel free to text me or ring me 07740179759 I am sure there is going to be something i have forgotten?? ?